Top Management Degrees recently ranked Southern Utah University’s Master’s of Public Administration (MPA) program among the top 50 in the nation. The program was the only one featured from the state of Utah. The ranking was designed to find the best online MPA degrees available. The original list started with over 330 schools, all of which were evaluated on accreditations, affordability, and prestige. The MPA can be completed on-campus or 100% online. There are three tracks offered, in state and local government, criminal justice, and in higher education, for students who would like to specialize. The NASPAA-accredited program gives students valuable experience in public sector work and can pave the way for municipal, state, and federal employment. More than 60% of the students in the program are full-time working professionals. 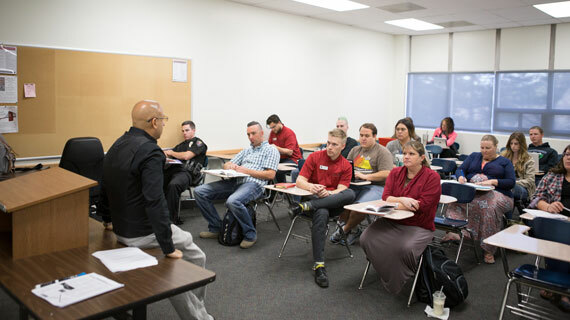 An MPA from SUU can be a catalyst to prepare students for administrative positions, become involved in public affairs within the community, create career advancement opportunities, and continue their education by attending law school or a Ph.D program.